Looking for a fresh, contemporary floor mat designed to complement the styling of your vehicle? 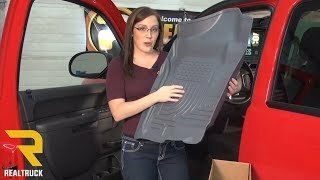 Then look no further, Husky Liners WeatherBeater floor liners are made specifically to provide the same protection and functionality of their Classic Style liners but with an appealing design for modern trucks, cars, and SUVs. 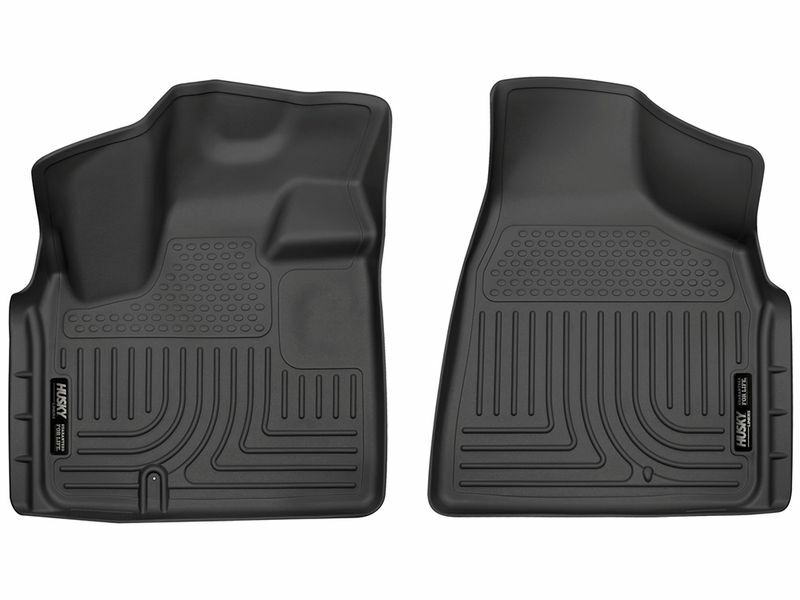 WeatherBeater floor liners are made from an exclusive elastomeric material that allows these floor mats to remain flexible without curling, cracking, or breaking. This exclusive formula also allows Husky WeatherBeaters to resist damaging chemicals like gas, oil, or even battery acid. There is even a lifetime guarantee that these mats will not crack or break. Husky has used design elements found in today's cars & trucks to create customized looks that will complement each vehicle's style. Laser scanning technology allows Husky Liners to create floor liners that will follow all the complex curves and contours of your floor. Patented "STA-PUT Nibs" on the backside of each floor mat ensures that there will be no slippage, while a "Form-Fit Edge" keeps everything you don't want on your carpet, off your carpet, and on your floor mat! 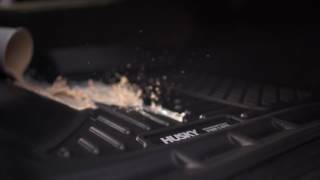 With a set of American made Husky Liners WeatherBeater floor mats, you'll know why they say "Go Ahead, Get Dirty!" 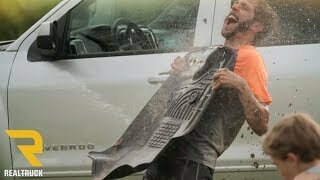 WeatherBeaters are made to protect the floors in all areas of your car or truck, front, back or even the cargo area. Durable, long-lasting protection has never looked so good! Choose from black, grey, or tan and get yours ordered today! 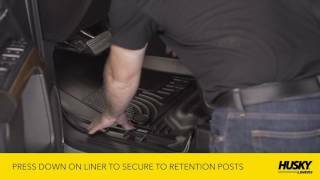 Husky Liners® guarantees to the original purchaser of Husky Liners® products that they will not break or tear under normal usage during the life of the motor vehicle in/on which they are installed. This warranty shall only be effective while the original purchaser owns the motor vehicle and shall not apply to Husky Liners® products that have been removed from the original vehicle on which they were installed. This warranty applies only to those parts that are correctly installed in/on the vehicle for which they were intended. Husky Liners® will warrant any part during the warranty period that proves defective in material and/or workmanship under normal installation, use, service, or maintenance. Return alleged defective part to the place of purchase for replacement or refund. Please have a copy of your purchase receipt available when you call. The foregoing is the only express warranty made by the manufacturer and is limited to the duration of this warranty. ANY IMPLIED WARRANTY OF MERCHANTABILITY OR FITNESS FOR A PARTICULAR PURPOSE IS LIMITED IN DURATION TO THE DURATION OF THIS WARRANTY. LABOR CHARGES, INJURIES, OR ANY OTHER LOSS OR DAMAGES WHATSOEVER, INCLUDING THOSE INCURRED IN INSTALLATION ARE EXCLUDED. ADDITIONALLY, PAINTING OF REPLACEMENT HUSKY LINER® PARTS AND ANY VEHICLE COMPONENT REPAIR OR REPLACEMENT AS WELL AS INCIDENTAL DAMAGES ARE EXCLUDED. This warranty is void for damages to the product due to misuse, abuse, neglect, accident, improper installation or any use that violates the instructions furnished by us. ABNORMAL WEAR AND TEAR ARE NOT COVERED UNDER THIS WARRANTY. Obviously, if your dog chews up your Husky Liner product, it's not covered under the warranty. Likewise, if you shut your Husky Liner in the door of your vehicle, damage to the liner and/or door are not covered. Commonplace, every day wear on a particular product is considered normal, and is not covered under warranty repair. 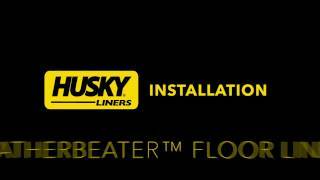 The Husky Liners WeatherBeater floor mats offer an easy installation. 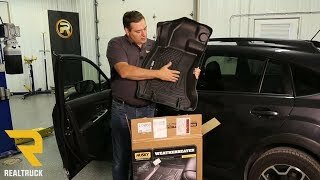 Any special instructions are detailed in the instructions that will arrive with your floor mats. This installation manual is very easy to understand and follow along. 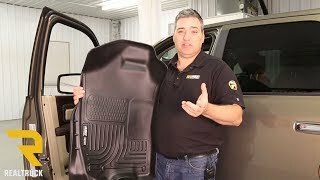 If you have any questions regarding the WeatherBeater floor liners or if you would just like some additional information, please don't hesitate to call us at 877-216-5446.